Ladies, do you remember shopping for your wedding dress? It had to be the right style, proper fit, the exact shade of white, and of course in your budget. You took your time to ask questions, try on the dress, and make an informed decision. You weren’t in a hurry. The perfect fit for the perfect day. By the time you make alterations your dress is distinctly your dress. Granted, I’ve never shopped for a wedding dress, but I’ve never heard of a one-size-fits-all wedding dress, have you? Few things in life can be good when it comes to one-size-fits-all. Maybe bicycle helmets, a wristwatch, and baseball caps? But insurance is insurance, right? You and your neighbors have practically identical homes. Same floor plan. Both of you have 3 bedrooms, 2.5 bathrooms, 2 car garage, and a finished basement. Now Jed and Terri do have a fireplace and custom cabinetry, but otherwise your homes are identical. Your homes may be the same, but your families are different. The dynamics of your family are contrasting. You and your spouse have 3 kids still in grade school, your neighbor on the other hand has 1 child almost ready to graduate college. You own a business, your neighbor works for a corporation. You golf, your neighbor bikes. You have different wants, dreams, and desires than your neighbors. No two people (or families) are the same. We don’t live in a world full of people wearing pants with elastic waistbands. Each and every one of us are unique. 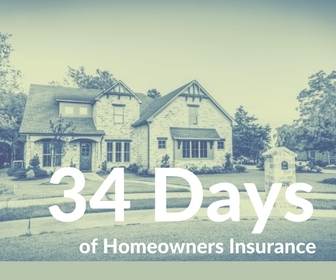 Insurance for your home is no different. What do you have an appetite for dinner tonight? Maybe pizza? When it comes to your hunger cravings you know what you want. Insurance companies have appetites too. They know what and who they want to protect. Some insurance companies like insuring hobby farms. Yet another may love protecting the early 1900’s Victorian homes. While other companies prefer to protect the rental properties down the street. When your insurance agent only offers one insurance company it doesn’t make sense. How can he/she present you with the same protection as they do for the person down the street? Furthermore, things change. Insurance companies change. Premiums may change. Your life changes. As a kid growing up, do you remember playing with a toy where you would try to put the objects in the correct hole? A square peg in a square hole works every time. Independent insurance agents provide choices. They represent multiple insurance companies. A good independent insurance agent is going to pair you with the right insurance company. If the winds of change come in the future, your agent will be able to guide you. Advising you if your current insurance company is the best fit or present you with a different option. Just like the game you played as a kid – square peg, square hole. The next time you order your Double Ristretto Venti Half-Soy Nonfat Decaf Organic Chocolate Brownie Iced Vanilla Double-Shot Gingerbread Frappuccino Extra Hot With Foam remember you’re a unique individual. Relish in that. When it comes to homeowners insurance, one size fits none. Interested in learning more? Let’s talk. Head on over here. Photo Credit: Photo by Igor Ovsyannykov on Unsplash.